Christmas lights that don’t work, three boxes labeled and tucked away in the garage. A shelf of neatly stacked notebooks filled with recipes, phone numbers, and addresses of old friends and family members dating back to the 1950’s. A dozen casserole lids, but no dishes and enough yarn to knit sweaters for everyone on the block and then some. Does this junk war sound all too familiar?! 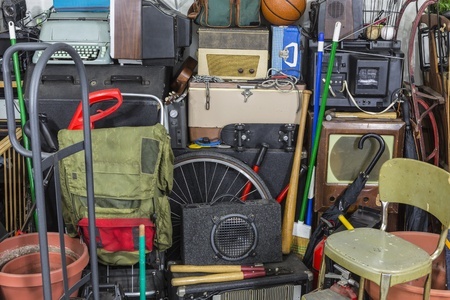 If so, here are 4 useful tips to de-clutter your home or office in Kansas City without guilt! Set a timeline to go through all your old stuff. Book time over the course of several weeks or even months (depending on how much stuff you have), and have specific goals for each session. Then divide each room and schedule exactly what you plan to de-clutter at any given time. Make sure to book this time on your calendar. Getting rid of your stuff can already be difficult. Trying to do it all at once can make the experience overwhelming and unpleasant. Telling yourself you can go through everything in a couple of sittings is probably very unrealistic. Give yourself time. Before you start anything, agree with yourself to only make a yes or no decision about everything. There are no “maybes”, just yes or no! Start by identifying all your junk. Some will be easy and some will be hard. • Is this item really needed? • Do I have a place to store it? • How much extra work will this possession add to my life? • Am I keeping it for the right reasons? Tip: If you have something of sentimental value to declutter take a photo of the item, this will help you purge the junk! This is the Sirna Bros. modified version of keep/donate/toss. You will need 4 boxes instead of three labeled: Keep, Sell/Donate, Store and Sirna Bros. pickup. Sell/Donate will go to your favorite local non-profit after your garage sell. Store are the items you can’t live without and that play a role in your daily life. Sirna Bros. Pickup is where everything else will go! No job is too large or small, we can haul almost anything away like old appliances, mattresses, televisions, couches, books, tiles, and much more. 4. When you are de-clutter your home or office, you have a couple of options. If you have anything in good condition you can have a garage sale. 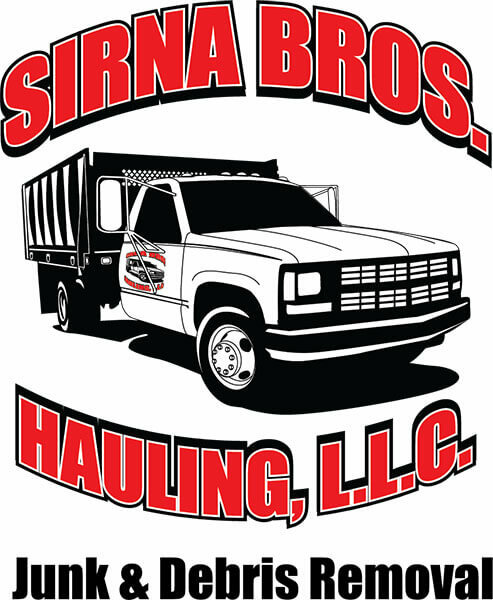 Or you can hire Sirna Bros. Hauling to clean out your house and get rid of your junk! No job is too large or small, we can haul almost anything away like old appliances, mattresses, televisions, couches, books, tiles, and much more. We do the heavy lifting, so you don’t have to worry about that too. Our goal is to reuse your items. We will try to donate, recycle or resell everything in the attempt to keep them out of a landfill.